Bob is distinguished by his great smile, love of fishing, and equally well by his hard work and service that started when the organization was founded and continues to today. Bob Jacklin was brought up in New Jersey and it's interesting that the Global Fly Fisher fly tying web site features the South Branch Chub, a brookie streamer fly Bob invented while still in high school. Bob immigrated to West Yellowstone and was guiding by 1969. 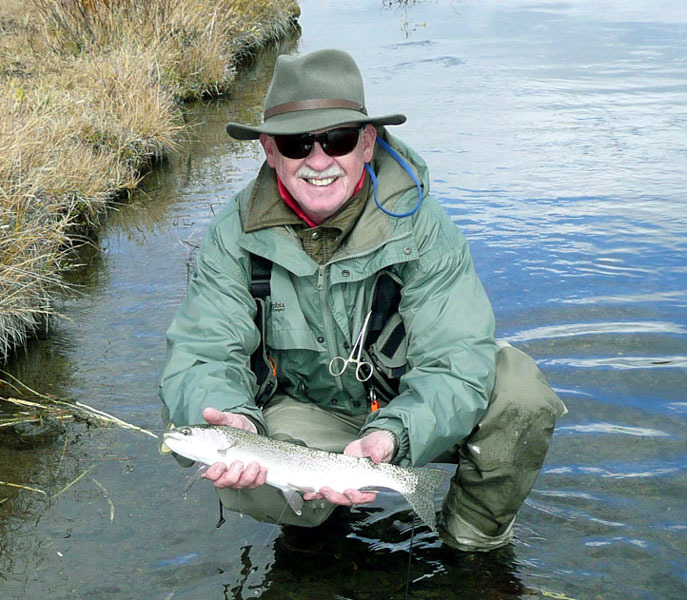 Bob Jacklin has outfitted and guided fly fishers in the greater Yellowstone area for more than thirty-seven years and is a master fly tyer who has created many original fly patterns. He has tied and put on casting demonstrations around the world and has always been an outstanding ambassador for the Federation and for fly fishing. Bob won the coveted FFF 2000 Buz Buszek award for lifetime achievement in the art of fly tying and lives in West Yellowstone, Montana, with his wife Sharyn. Bob and Sharyn have owned and operated Jacklin’s Fly Shop since 1974. Bob Jacklin is proud to own West Yellowstone's oldest continuously owned and operated guide service and fly shop. 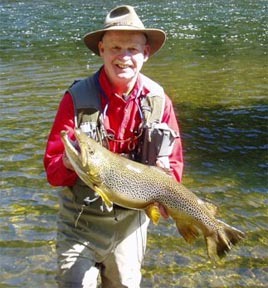 As such, Bob feels he has assembled the finest cadre of fly fishing guides in the Yellowstone region. In the February, 1998 edition of the Fly Fisherman Magazine, John Randolph, Editor and Publisher, had this to say about Bob Jacklin, "Bob Jacklin, the Model of Western integrity, still runs his fly shop in West Yellowstone Montana." Bob has modeled his fly shop and guide operation after the "Old Pro", the late Pat Barnes. Like Pat Barnes, Bob Jacklin has dedicated his life to fly fishing and teaching others to enjoy the Sport. Bob Jacklin is a charter member of the Federation, a master caster, a master fly tyer, a member of the FFF Casting Instructor Program Board of Governors. Bob helped establish the FFF IFFC/Discovery Center, originally in West Yellowstone, and served as Western Rocky Mountain Council FFF President. He was also the 2008 recipient of the Federation’s highest honor, the Lapis Lazuli Award. Bob Jacklin, Bob Jacklin’s Fly Shop, P.O. Box 310, 105 Yellowstone Ave.